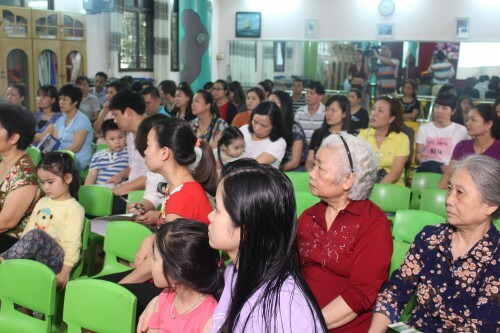 On April 14th, 2018, more than 40 teachers from October 10 Kindergarten (Hoang Mai District – Hanoi) and parents were listening and discussing with experts from the Green Pine Clinic and the Social Work Project of RTCCD in a training session on sexual abuse prevention. 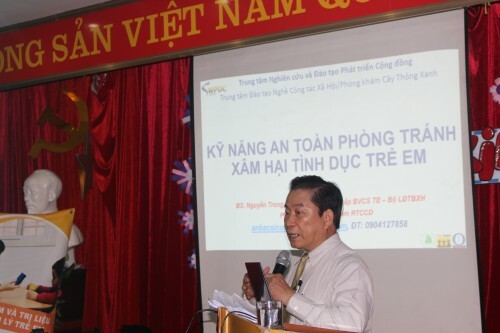 During the training, Dr. Nguyen Trong and, Deputy Director of RTCCD, shared knowledge about the forms of harassment, exploitation, and abuse; how to identify the psychological symptoms and the signs of the child’s body to detect the risks of child abuse; and how to teach the skills to seek help and react against when children are seduced or intimidated by other people; In the training, there was a section that attracted the attention of the teachers and parents as a guide to interpreting the children’s drawings for early detection for symptom of abuse. 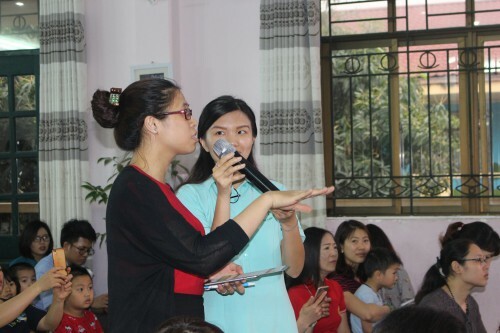 RTCCD and GreenPine Clinic will continue to hold similar training sessions with preschools in Hanoi to help teachers and parents to be equipped with the knowledge and skills on prevention of child sexual abuse. Copyright © 2015 RTCCD. All rights reserved.